Dermarché Labs is an innovative skin care company with a rich dermatology history and a passion for creating products you can trust. Dermarché Labs was created to bring scientific rigor and patient-focused commitment directly to consumers in the non-prescription skin care and beauty industry. In a marketplace too often characterized by dramatic claims, without dramatic outcomes, Dermarché Labs' goal is to earn the trust of customers by delivering an outstanding product experience at an affordable price. Breakthrough skin care innovation and dermatologist-proven results are at the core of every promise they make. The Dermarché® Labs story begins with decades of experience in dermatology and aesthetic medicine. The founders of Dermarché Labs emerged from the founding leadership team at Medicis Pharmaceutical Corporation, the largest independent dermatology company in the United States. Medicis was known as "The Dermatology Company" because of its unwavering commitment to science and the specialty of dermatology. Real skincare, honest results. Looking for a real, science-based skincare brand that truly delivers results? Look no further than DermarchÃ© Labs. Once a leader in dermatology and aesthetic medicine, DermarchÃ© Labs has taken its expertise to the consumer skincare market. The company is pushing the boundaries of technology and skincare to create products that focus on visible results. 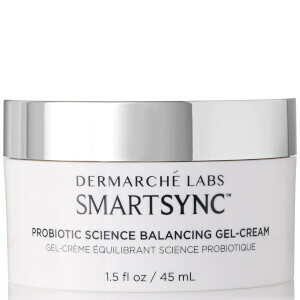 It's part of DermarchÃ© Labs' real-results guarantee. Younger, healthier skin without needles. It's now possible to look years younger without a trip to the plastic surgeon or dermatologist. 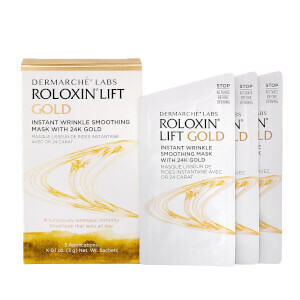 DermarchÃ© Labs focuses on two innovative skincare products: FullFill and Roloxin Lift. FullFill uses hyaluronic acid to fill in fine lines and plump skin painlessly, without needles. Roloxin Lift is a 7-minute treatment that instantly uplifts skin and reduces the appearance of fine lines and wrinkles in just one use.